The Lunch Break - Do You Swear Around Your Kids? The Lunch Break – Do You Swear Around Your Kids? Lunch Break – Do you swear around your kids? 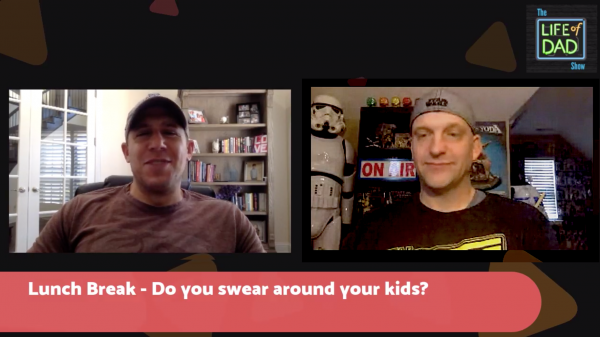 Do you swear around your kids? Today’s topic is all about swearing. What do you do when your kids catch you? What age do you loosen up? Do you not swear at all? Do you swear a ton? Paul Thompson · Told my partner, not to give that kinda crap, next thing I know I hear my little girls voice behind me tell her mum not to give daddy that kinda of crap. Rachel A. Johnson · I swear not at her but during road rage lol, and I tell my toddler mommy is saying bad words sorry… I also say she will be in trouble, until she’s an adult lol. Mary Young · Grew up military old school and never had potty mouth around me and my kids didn’t either. I respected them.